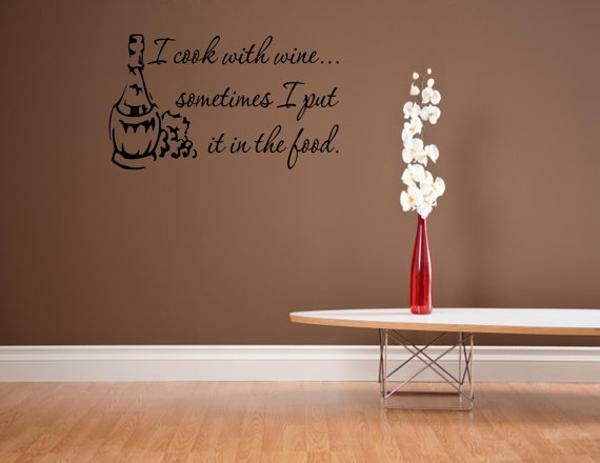 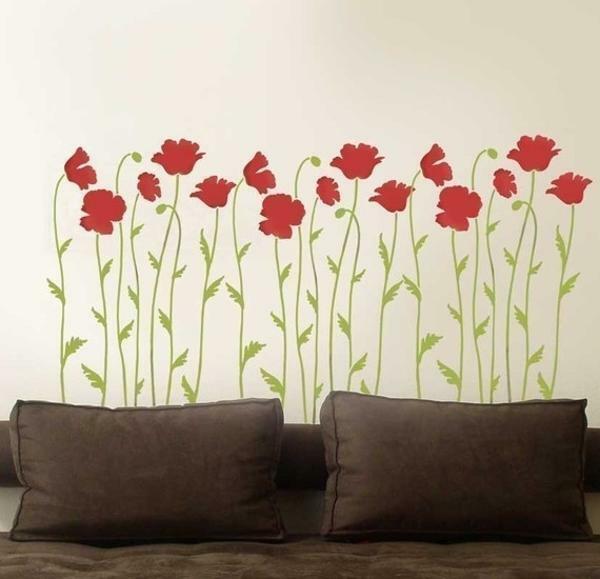 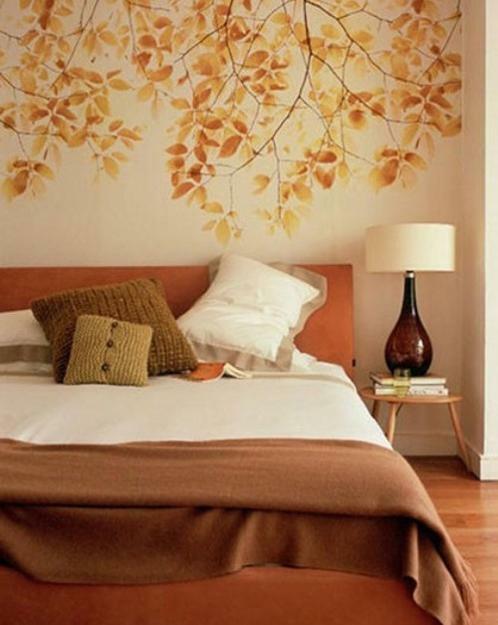 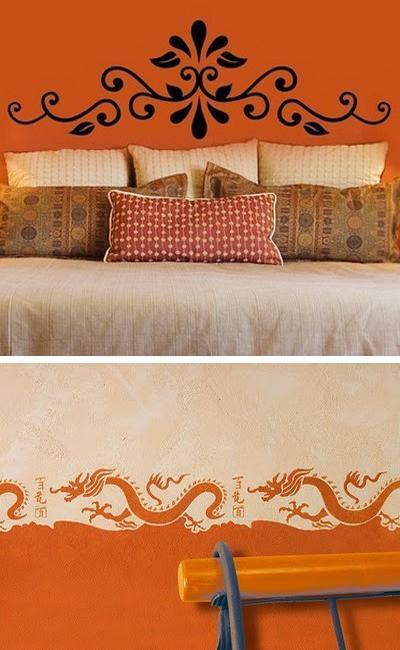 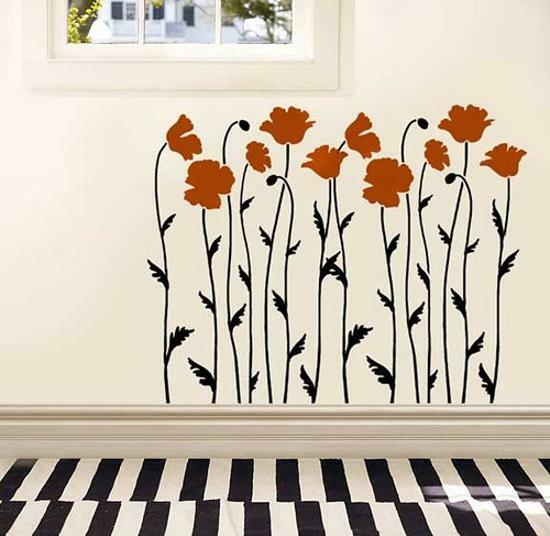 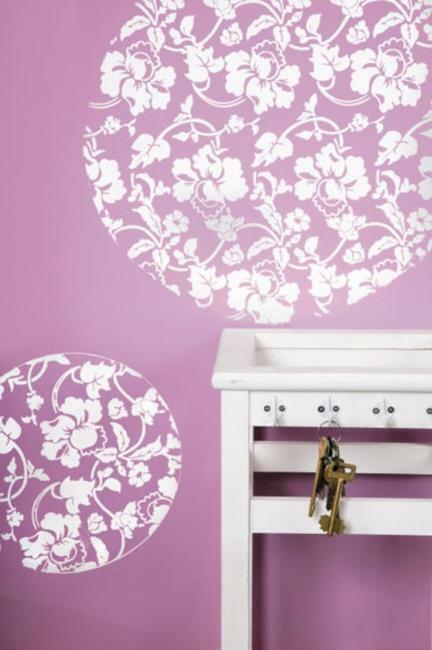 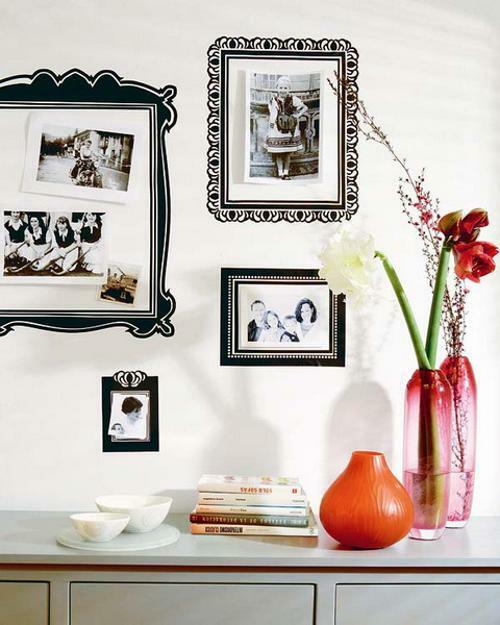 Stencils are ideal for a quick room makeover project. 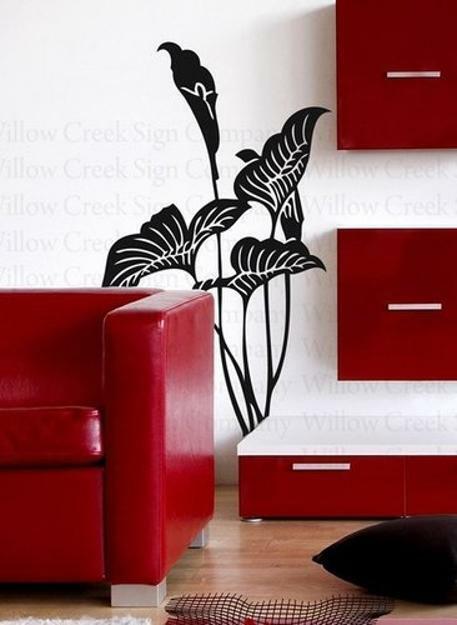 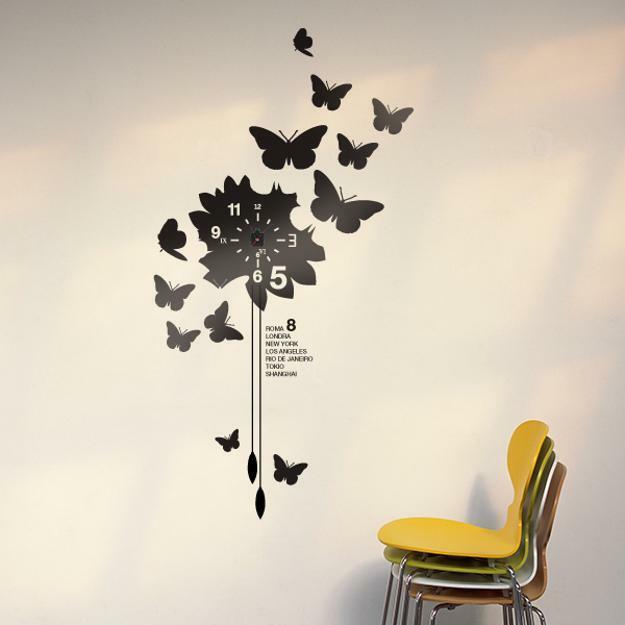 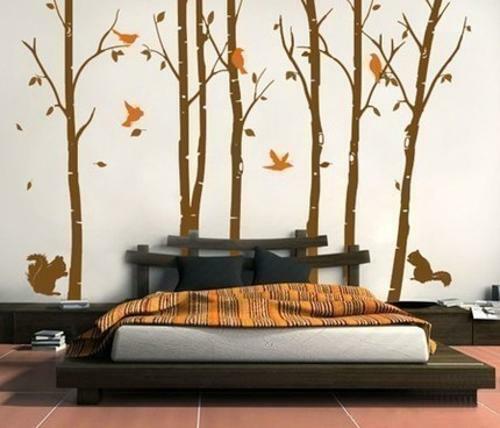 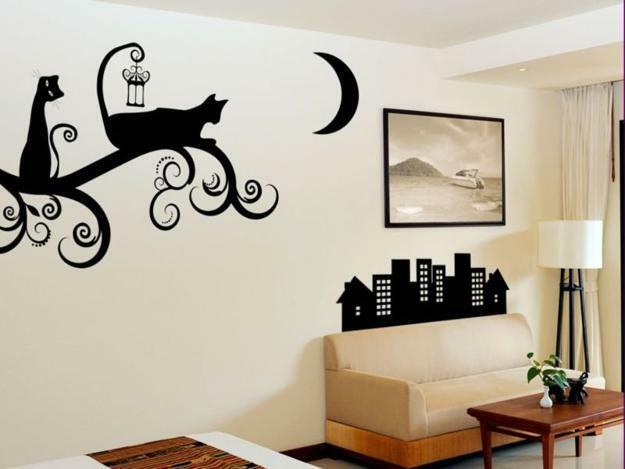 Stencils work well for any interior decorating style, for furniture decoration and creating unique walls or ceiling designs. 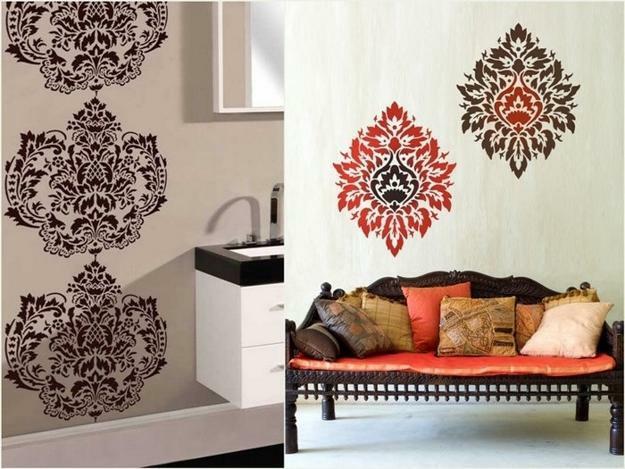 Wight a help of a stencil you can create three-dimensional patterns and add color to your interior decorating, adding unique designs to your home interiors and outdoor rooms. 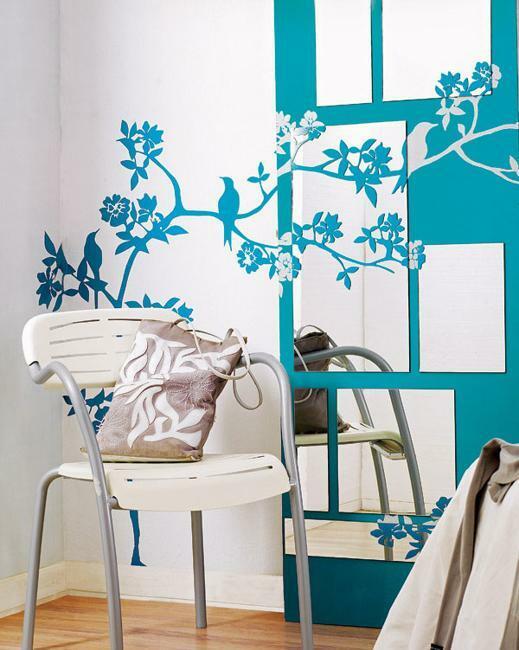 A surface for stenciling can be pre-painted or primed, creating a wonderful background for your interesting and original designs. 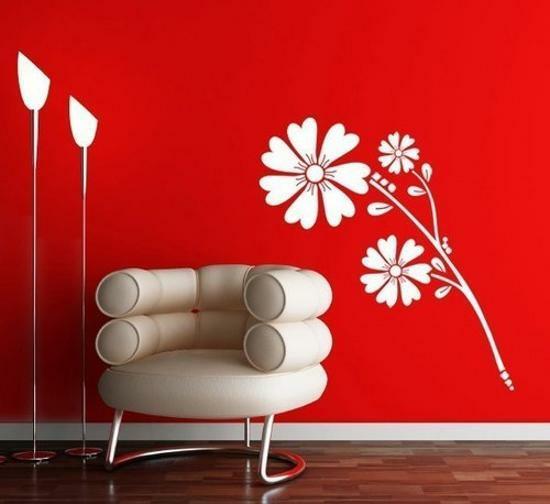 A stencil with a spatula and a paint are all you need to transform your interior decorating and personalize your living spaces. 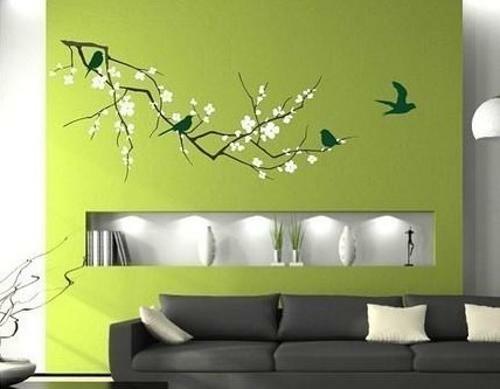 You can use a paint in neutral colors or bright hues to adorn your room furniture, wall or ceiling with colorful and surprising details. 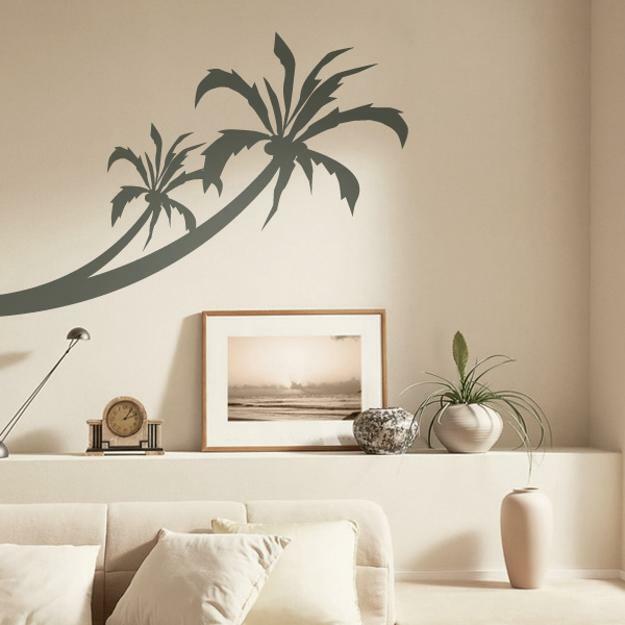 After the stencil is removed and the image is dried, you can apply another color and add different images to your furniture , wall or ceiling designs, creating fabulous, one-of-a-kind decorative compositions. 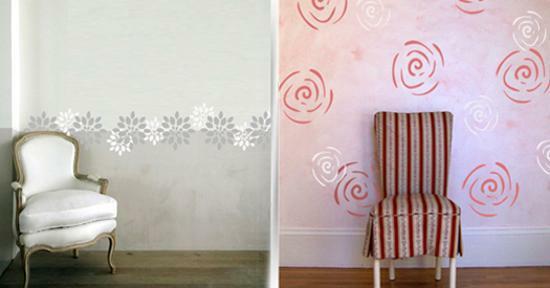 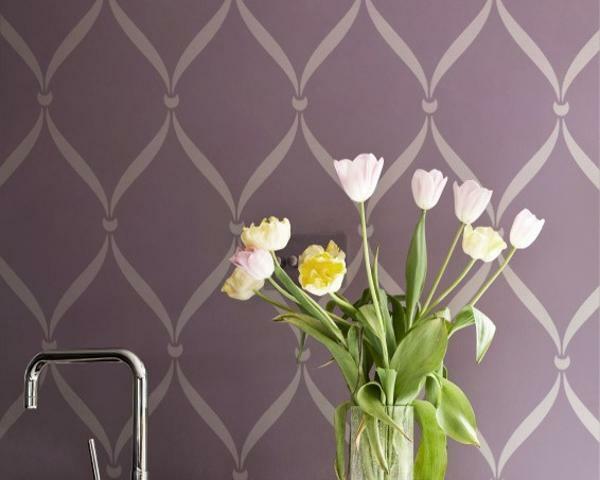 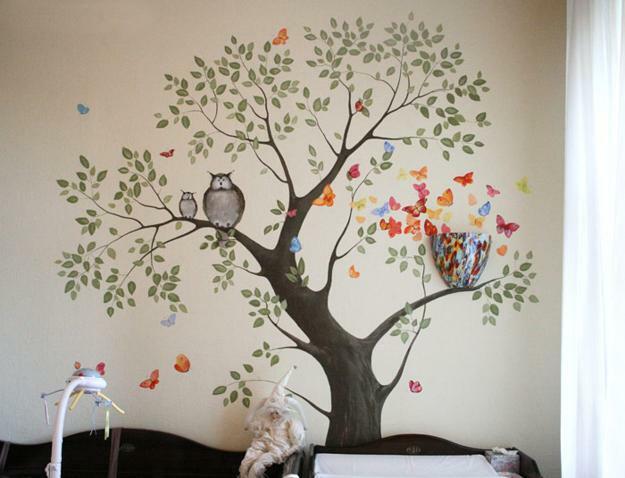 Try your decoration pattern on a piece of paper before stenciling your furniture , wall or ceiling. 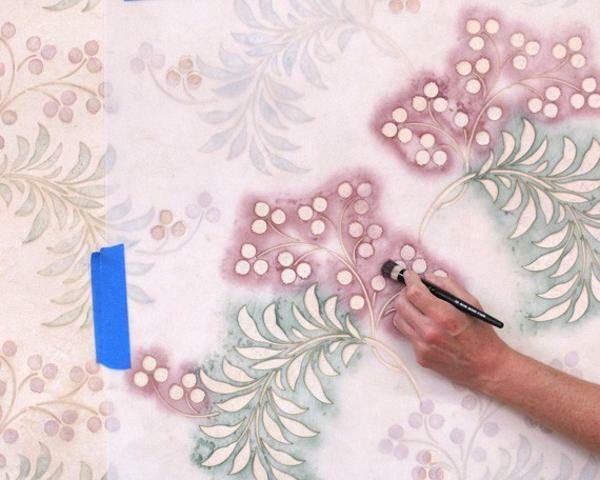 Practicing to use stencils help to define the right techniques and consistency of a paint. 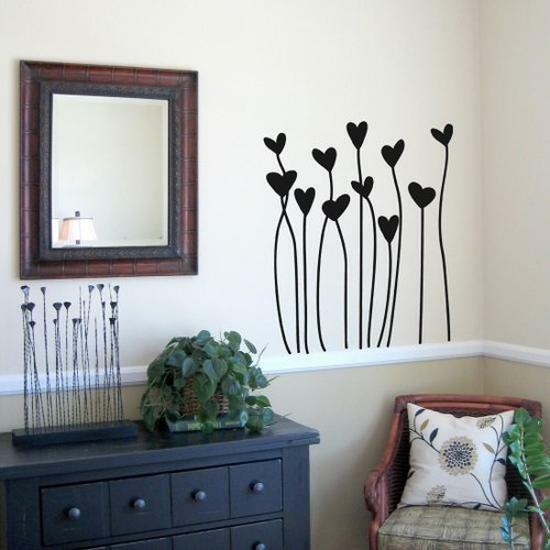 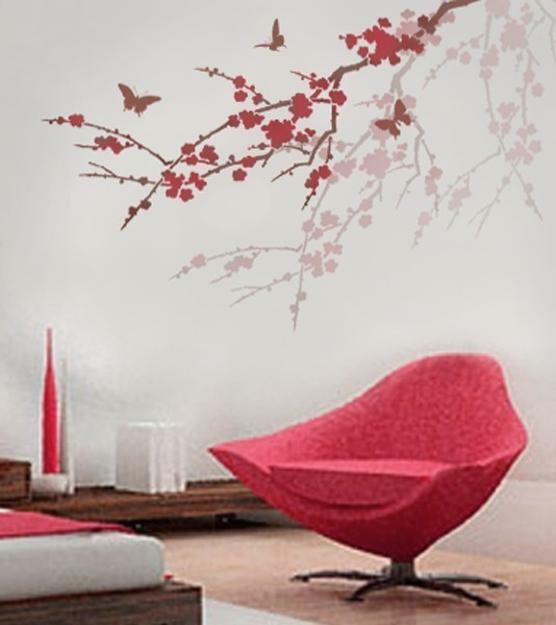 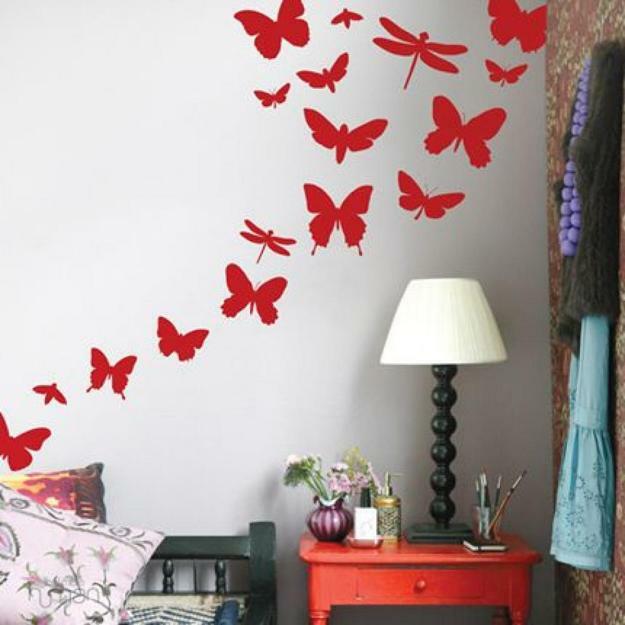 A brush, roller, sponge or spray is wonderful for stenciling your walls or ceiling. 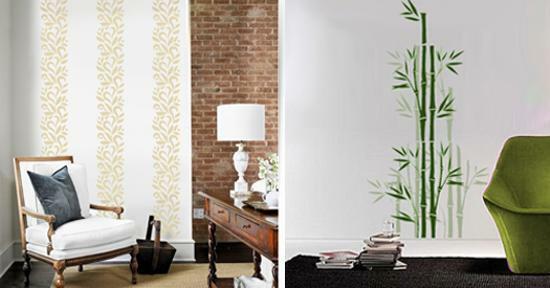 Contrasting stencil designs add unique touches to interior decorating and dramatically transform rooms, bringing personality and modern decoration patterns into your home interiors and outdoor rooms. 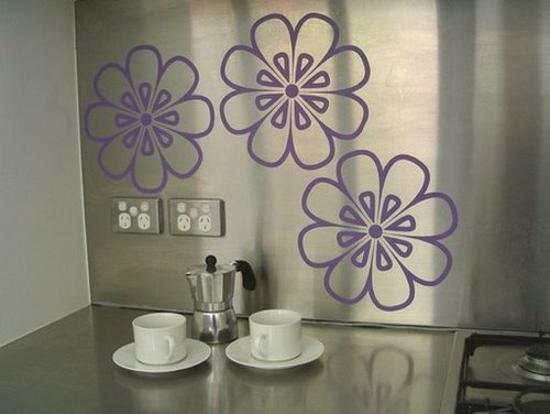 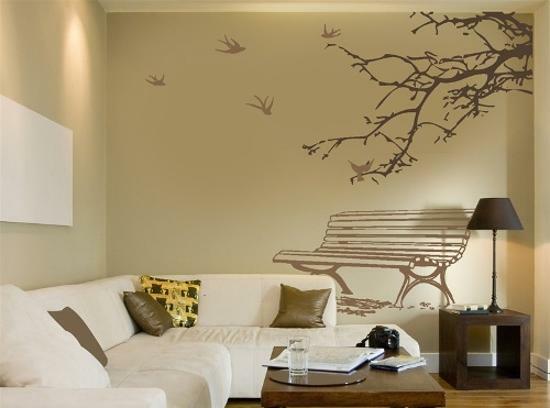 Stenciling completely change the interior without any help of an interior designer. 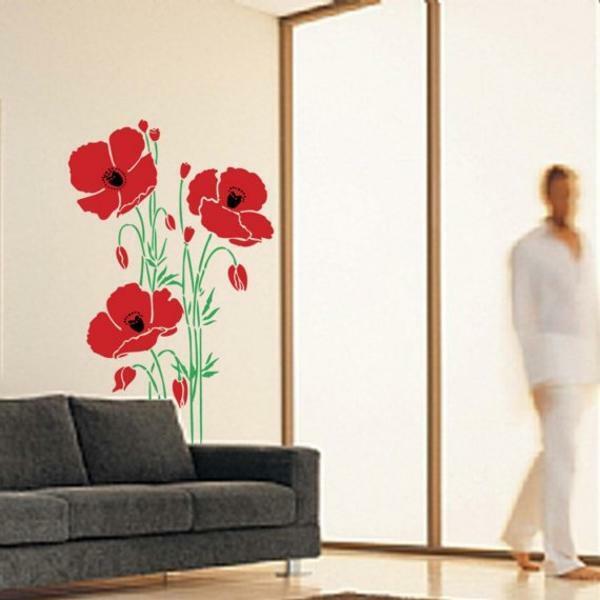 A few hours of painting with stencils create fabulous decoration patterns on furniture, walls or ceiling, which will delight you and your loved ones. 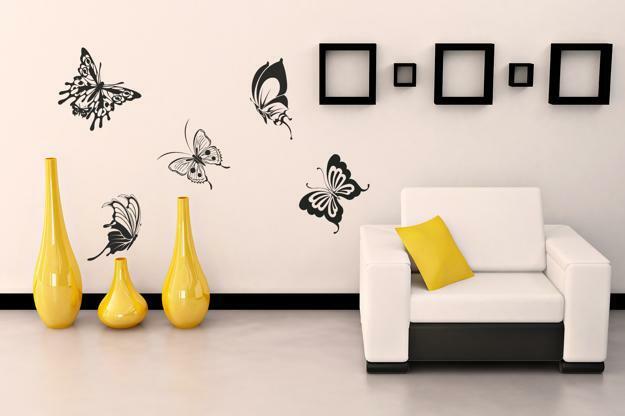 The pleasant feelings of well-done, artistic and original work with your hands is another plus of interior decorating with stencils.